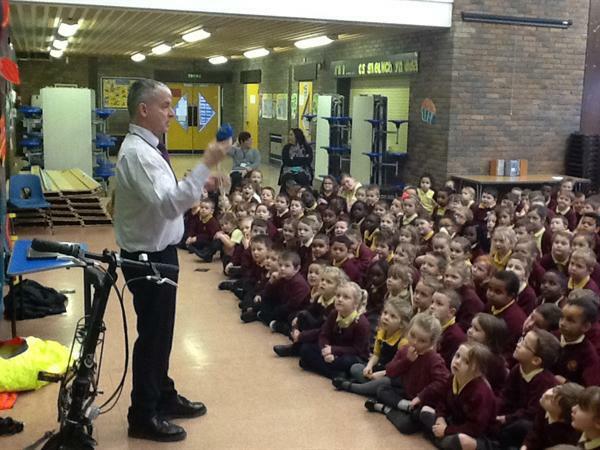 Mr. Paul Griffiths from the County's Road Safety Team delivered an assembly remiding the children of the importance of safe travel. 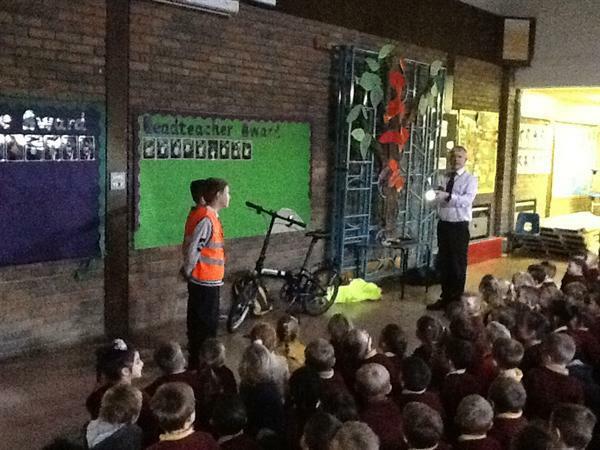 He explained that bikes should be checked using the ABC approach: A-air (check tyres) / B-brakes / C-chain. 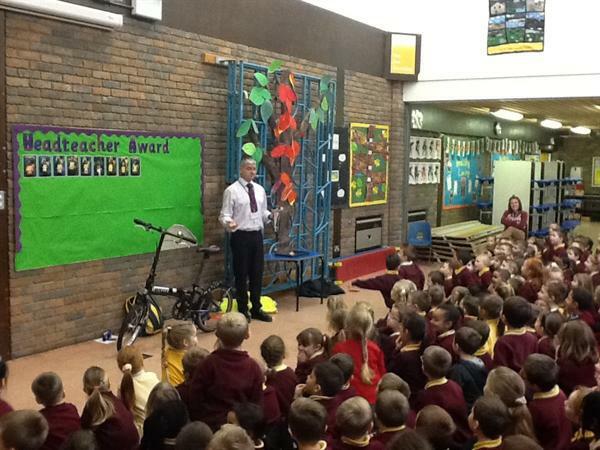 He also reminded the children of the importance of wearing a helmet and being visible, ideally using a 'high-viz' jacket. 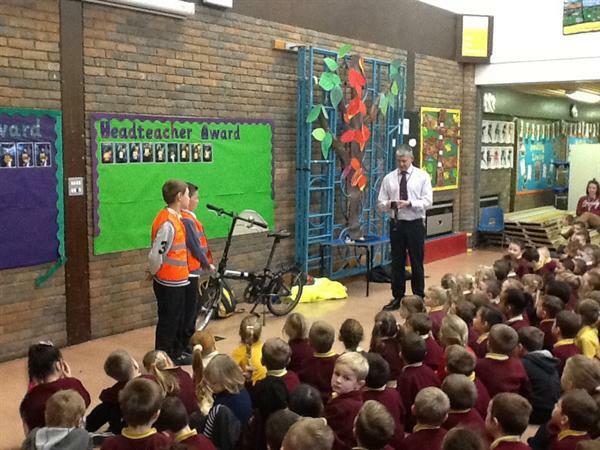 It was really good to be reminded of these key points!